Adorable Christmas footie by Little Me! 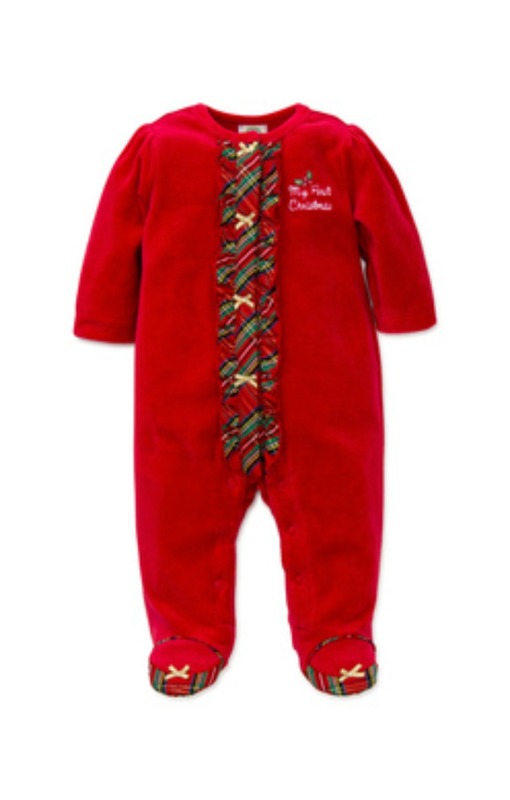 This baby girl Holiday one piece is accented with plaid trimming. Great for your baby girls first Christmas Pictures!